The Gibbs Farm offers field trips and outreach opportunities with trained, costumed interpreters, and educational resources for teachers and home schools. We will be happy to work with you to schedule a field trip and provide the resources that you need for your classroom, both pre- and post-trip. Please see the Field Trip page for more information. We love to have classrooms visit the farm, but the winter months can be a bit chilly for an outdoor site. This winter, let us bring our fantastic programing to your classroom in the form of one of these four presentations. They are currently structured to facilitate four classrooms at a time. If you have more classes than that, please contact us for information on additional stations. Scroll down to the bottom for Adult Outreach Options! Dipping beeswax candles-they smell like honey! In the Dakota presentation, Gibbs Farm interprets Dakota life in the 1800s at Cloud Man’s Village. Part of this presentation includes talking about harvesting wild rice and interpreters ask for students to volunteer to help with the demonstrations (canoeing, parching, jigging, and winnowing the rice). Similarly, when learning about hunting and furs, interpreters get students involved by handling several different animal furs. The Buffalo Box emphases the importance of storytelling in Dakota culture and students are riveted as they hear the story of Buffalo Nation. Finally, students get to enjoy a make and take beading activity. The content of this presentation has been carefully created alongside Dakota partners. Instructors from the Dakota Language Dept. of the University of Minnesota visit our staff training each year to help interpreters learn applicable Dakota words and phrases. Minnesota State Standards Covered – First Grade. Please note that there is an additional mileage charge for outreaches further than 25 miles from our Falcon Heights Site. (Current rate 54.5 cents per mile). The Pioneer Presentation gives students a look at what life was like for pioneer children. Students will enjoy seeing the similarities such as doing household chores, playing games, and going to school while being amazed at the differences in technology! Students will learn about doing laundry with washboards, attending a one-room schoolhouse while writing on slates, playing marbles, and more! 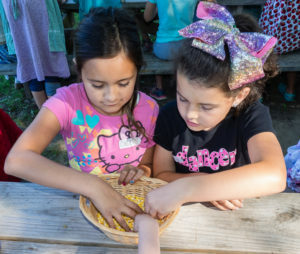 The in-classroom All Activities Presentation includes 3- activities: Cornhusk Dolls, Candle Making, Dakota Beading. 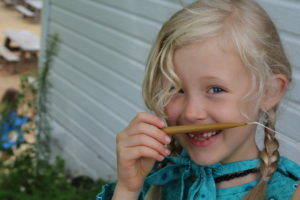 The Activities Presentation introduces students to elements of 1800s pioneer and Dakota life by participating in make and take activities including designing their own quilt square using fabric triangles, dipping beeswax candles, and beading a bracelet while learning about Dakota quill work and trade. $1.50 per student, per activity. $100 minimum charge. Please note there is an additional mileage charge for outreaches further than 25 miles from our Falcon Heights Site. (Current rate 54.5 cents per mile). Please note that there is an additional mileage charge for outreaches further than 25 miles from our Falcon Heights Site. If you have any further questions, please email janie@rchs.com. Please let us know the grades/ages of the children, and how many in your classroom when you contact us. We look forward to working with you to create a wonderful experience for your students! This presentation focuses on the life of Jane DeBow Gibbs as she begins her life in Batavia, New York and travels west with a missionary family. Jane spent about five years living with the Dakota people of Cloud Man’s village near Bde Maka Ska (formerly Lake Calhoun) where she learned to speak the language and was given a Dakota name. After moving to Illinois, meeting and marrying her husband, Heman, they moved back to MN and started farming. Heman and Jane went on to have five children and run a successful market-gardening business. This program includes several images including paintings by Seth Eastman, later photographs of Jane, Heman, and their children as well as the farm. Objects may include personal belongings of the family or items from the period. This presentation specifically looks at Dakota seasonal life at Cloud Man’s Village in the mid 1800s. The semi-nomadic village tapped maple trees on Nicollet Island, summered on the shores of Bde Maka Ska, and harvested psin (wild rice) in the Forest Lake area. As a young girl, Jane Gibbs lived among the people of this village, observing their everyday life and learning the Dakota language. Many years later, Jane and the village were reunited when they discovered Jane and her husband’s new farm lay across a trail, long used by the village. For almost two decades after this discovery, the village continued to stop at the farm to visit with the Gibbs. This program includes several images including paintings by Seth Eastman. Staff have worked with instructors from the University of Minnesota Dakota Language Dept. on introducing themselves in the Dakota language and words applicable to the site’s story.